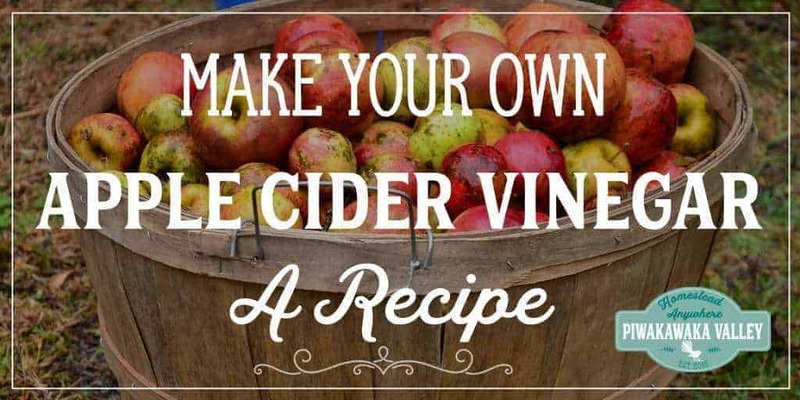 Free Guide to Making Your Own Apple Cider Vinegar from Scraps! Apple cider vinegar is attributed all sorts of benefits. A popular kitchen staple, apple cider vinegar (ACV) dates back to ancient times, where of course it was all made at home. It’s said to have been used by Hippocrates as a health tonic and by American soldiers to combat indigestion, pneumonia and scurvy. 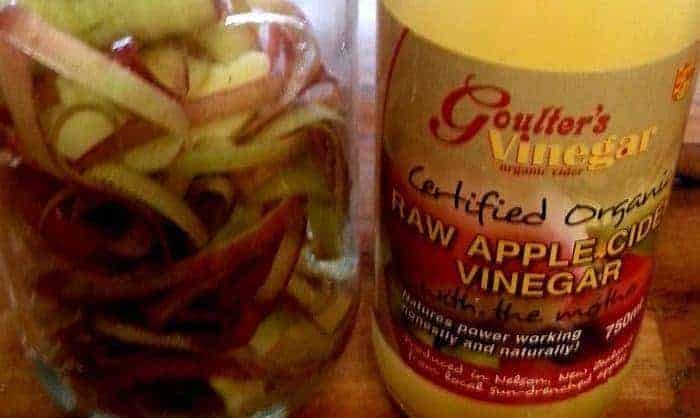 It is also very expensive to buy the raw fancy apple cider vinegar when compared with run-of-the-mill white vinegar and it is dead easy (and pretty much free!) to make. Apples (not surprisingly). You can just use the scraps of 6-8 apples for the vinegar and use the good stuff to eat, make yourself an amazing pie or can/freeze for next time you need some. A cloth to cover the top of your jar and either a rubber band or some string to secure it. 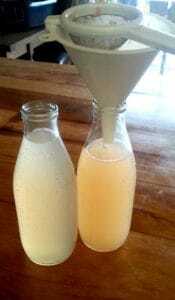 Sugar – this is to help feed the bacteria and yeast to ensure a good amount of alcohol develops to convert to vinegar. 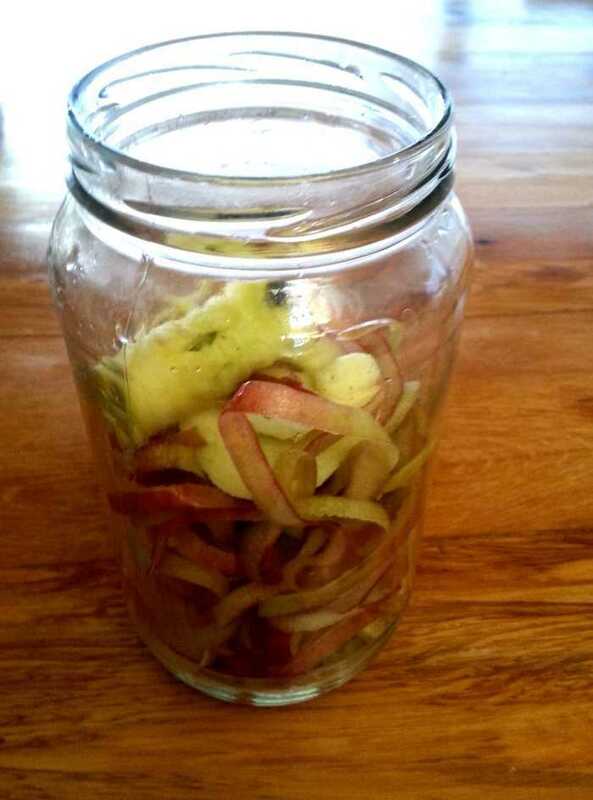 Peel and core your apples – you need 6-8 apples for a 1 litre/1 Quart jar. 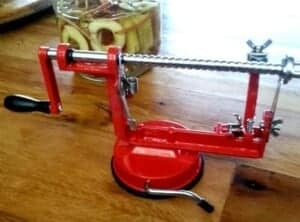 I love my corer/peeler combo thingy! Make something delicious with the yummy bits of the apples. Put your peels and cores in your jar. Add 2 Tablespoons of sugar for each quart/litre. Cover the scraps with water. 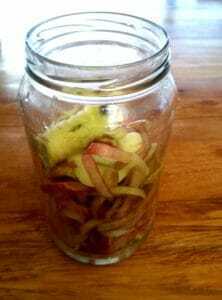 To keep them submerged place a small jar full of water on top of the apple peels as a weight. Just enough water that everything is submerged, it might float at first, but it will sink with time. 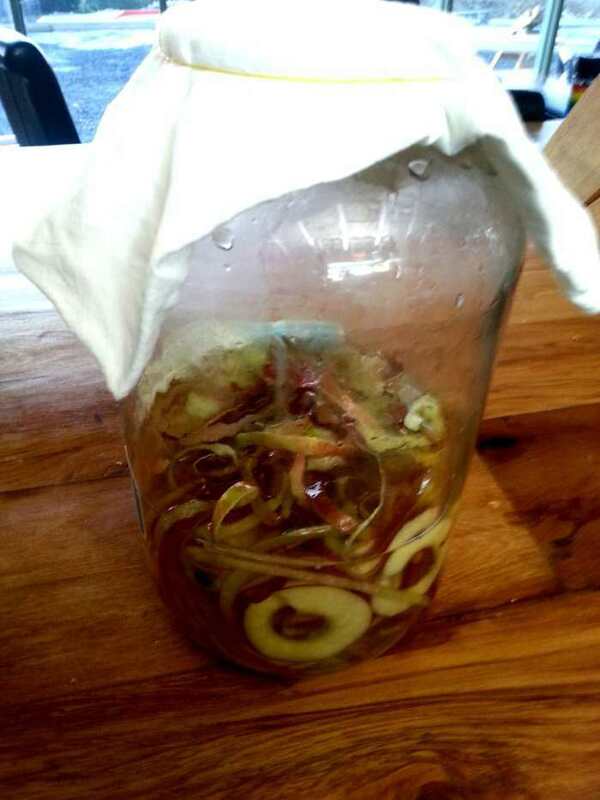 Cover the jar loosely with a cloth to allow it to breathe and put aside for 2-3 weeks. If you add a splash of raw apple cider vinegar it speeds up the process and you will only need to leave it for 1-2 weeks. This is the raw ACV I found at the supermarket. I added a little splash because I had some on hand, but you don’t need to! After a couple of weeks, strain out the apple pieces. At this stage, it should smell alcoholic – hence the cider bit in the name. 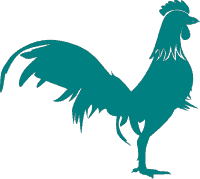 Vinegar is alcohol that is then metabolized by bacteria and converted into vinegar. Re-cover with the cloth top and pop back into your darkened cupboard for further 6-12 weeks. It is ready once it tastes like vinegar and the alcohol smell has gone. 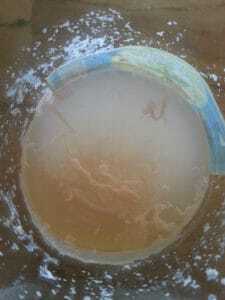 It should have some floaties in the mix by now, this is the SCOBY (Symbiotic colony of bacteria and yeast)/mother. 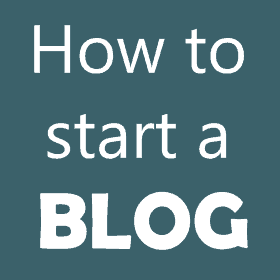 Simply strain out the chunky bits and store and a clean glass bottle. 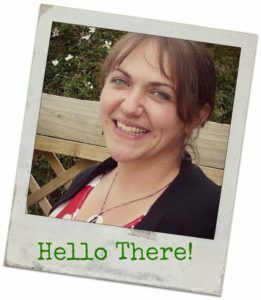 It is now ready to use however you wish! The colour of the liquid depends on the colour of the skins of your apples, I have pink ACV as my apples were red. These two bottles are slightly different colours – the one on the right was the bottom of the jar so it has more sediment in it. In hindsight, I probably should have given it a good stir before bottling. Oh well. I have been having a teaspoon full in a glass of water in the morning. Apparently, it is good for what ails you. And it doesn’t taste bad either, quite similar to lemon water really. Read 23 uses for apple cider vinegar here. Do you use ACV for anything at your house?